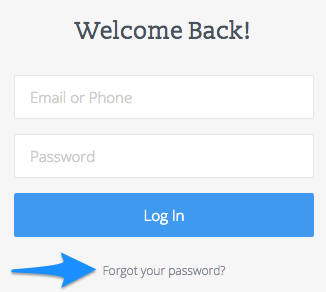 Go to www.raise.me/login and click "Forgot your password?" Type your number, and the formatting will appear. Hit Submit. 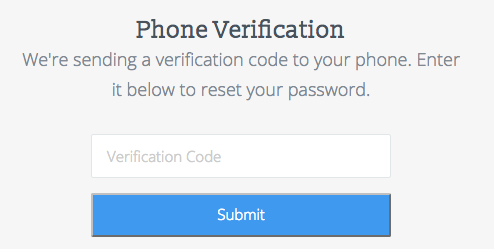 The next page asks for a verification number, and you should quickly get a text message with a short code to type in. Type in the code and hit submit. 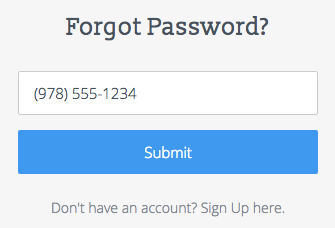 The next page allows you to reset the password for your account, and then log in with your phone number and new password! First, make sure you're getting service and other texts are working properly, and that you typed in the number correctly. You can always repeat the first two steps if you typed it in wrong. You may also need to wait a minute or so for the text to arrive. When you first signed up, you may have unsubscribed from getting text messages from us, which prevents you from using this function without our team's help. If this is the case, please contact us for help. If you can use your email instead, try that! Otherwise, please contact us and tell us: your full name, your previous phone number, and your new phone number.